Freestyle wrestling has always played an important role in the development of the BJJ game. Much of the sport is based on takedown systems that have been borrowed from this style of grappling. There are also many principles of weight distribution that allows Jiu-Jitsu athletes to be dominant on the mat. Technically, no other martial art, with the possible exception of judo, has had as much impact on the BJJ as freestyle wrestling. The Arm Drag is a position and a takedown, it’s a point of control and a pivot opportunity for many transitions. Overall, it’s a very versatile movement that has managed to find firm footing within Gentle Art. Let’s see how Jiu-Jitsu not only borrowed this movement from wrestling, but also took it in completely new directions. Perhaps the most difficult but important aspect of the arm drag is to understand that, even if your goal is to literally drag your opponent in the direction in which you pull your arm, it is important to move around that arm. It’s about understanding how your weight displaces the other person and remembering Newton’s third law: for each action, there is an equal and opposite reaction. With this in mind, it should be remembered that by pulling the opponent down, he is potentially able to stand up and move. This is where the arm drag creates opportunity. 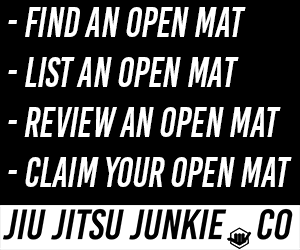 There are many great competitors in Jiu-Jitsu and MMA who have used this technique to succeed on the competition mats. The best known is perhaps Marcelo Garcia, who used arms arm in many of his games with amazing effect. There are of course many others who are successfully using this on the mats, especially in the NoGi game. What makes the arm drag so effective in part, is because people are usually weak behind the elbow joint. That is, if you catch someone behind the elbow and pull your arm forward, your opponent’s ability to stop will most probably be less than the force you can apply. More importantly, the position of the arm depends on the ability of the dragger to force the person to support their weight for a fraction of time, forcing them to fall forward. People who are really good at arm drags can handle much bigger opponents than they are by forcing them to use one of the weaker parts of their body to carry their weight. The concept is relatively simple: even taking a relatively strong practitioner off of his centre of gravity will probably require them to compensate. Add to that the fact that the opponent is unbalanced, because of the mechanics of the position, and you have the advantage. During this moment, whether or not it leads to a fall, the shooter can easily move around his opponent. A pivotal element of arm dragging is getting out of the opponent’s way. Very often, the beginner’s mistake is to drag an opponent down but then get caught under his weight instead of moving around him. When performing an arm drag, the most important part of the movement is to escape the hips to the side of the arm being dragged. Thus allowing the movement opportunity needed to secure a successful takedown. Arm drag leads to several opportunities for situational improvement. Even a failed arm drag can put the person attempting it in position for a throw or other positional changes in their favour. Arm drag resistance requires a certain degree of unbalanced force on the part of the opponent. On the feet, the arm drag sets up a variety of takedowns and trips. While in the match in a jiu-jitsu match, the positional advantage can setup numerous back-take positions. Since all the matches are starting from stand up, let’s have a look at a few setups. A particularly effective arm drag is the famous double leg takedown. So why does the arm drag work so well in this situation? The first reason is that it removes a possible frame (the opponent’s arm) from the defence and the second reason is that it will put you in a subtle angle that will make the double leg work. An arm drag from the guard can be used with incredible effect. It’s movement, which causes people to come off the centre line, allows for an easy route to half-guard and then the back. From half-guard, you have a number of options, continue the movement to the back, or re-establish to a butterfly guard, depending on your opponent’s movement, again the arm drag is extremely effective from this position. Taking the back from the drag can also be done standing, off the back and in a seated guard position. From there, you can use any technique on your opponent’s back. In gi, you have a lot of chokes available, but in no gi, the RNC in the back is always king. Since the arm drag works so well, it’s a valuable option to experiment with during training. If you fit in one of these positions, try it, and see what happens. This could very well become one of your favourite moves in Jiu Jitsu. The more you play with the move, the more you will see the possibilities of using it. The more you start to understand it, the better you can use it to improve your own game. The key to this move, and for any move, is to drill it. No one wants to be dragged to the ground and strangled. The placement of the grip is, therefore, the key to the success of the move. Drilling helps to understand naturally the placement of the position. The more you drill the movement, the easier you’ll be able to pull it off in sparring and competition.